Developing the Diamond is getting more attractive for potential investors and will benefit for a groundbreaking new relationship between the Jacobs Center for Neighborhood Innovation and the City of San Diego. This Public-Philanthropic Partnership is the first of its kind in the region. 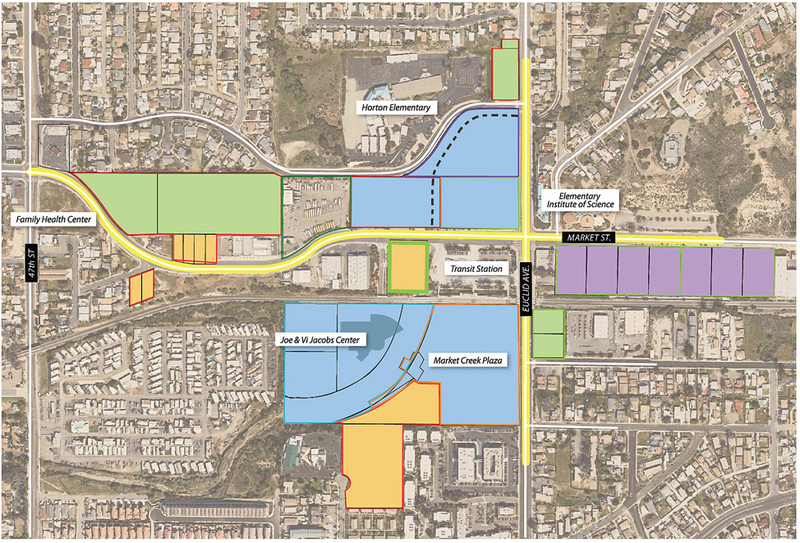 It will help to streamline development and infrastructure improvements on approximately 50 acres owned by the Jacobs Center in Southeastern San Diego’s Diamond Neighborhoods. It also helps activate Mayor Faulconer’s One San Diego initiative aimed at providing equal access to economic prosperity for all communities. Similar partnerships have been used to generate community development as well as support education, health, and the environment in cities across the county. The Jacobs Center has worked with residents of the Diamond Neighborhoods for decades to develop a strong vision for their community. This partnership supports the achievement of this vision and will work in concert with the Jacobs Center’s Redevelopment Master Plan currently in process. Address infrastructure needs such as sidewalk and curb improvements, streetlights, traffic signal modifications, and landscape and irrigation enhancements including the creation of pocket parks. These improvements will create a safer and more walkable community and will be funded by a recently awarded $4 million Caltrans Active Transportation Program grant. Support workforce and economic development through incentives for high wage businesses to locate in the area. There will also be incentives for residents to pursue skills-based certification so they can qualify for careers in our region’s in-demand industries. Additionally, the Jacobs Center and the City will work with the Local Workforce Investment Board and the San Diego Workforce Partnership to bridge opportunities between public and nonprofit agencies to encourage businesses to create more summer jobs and internships for youth and disconnected young adults (18-29 year olds not in school or working). Increase the efficiency in the review and approval process for development plans. The Mayor’s office has provided a dedicated staffer to coach developers with projects on the Jacobs Center’s properties how to properly package their plans to ensure they are reviewed quickly. Including workforce and economic development components in this plan is what makes the Jacobs Center’s partnership more effective. This partnership will do more than build buildings. 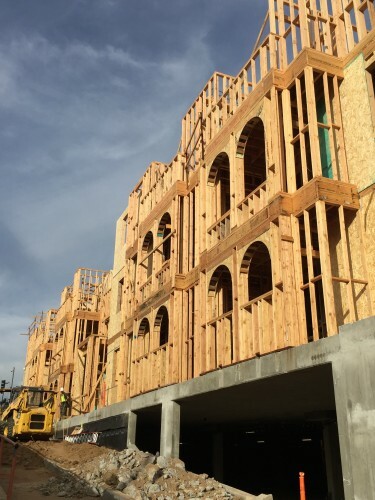 It will help uplift the residents of Southeastern San Diego, a community that has not benefitted at the same rate as other parts of the city in San Diego’s economic growth. Achieving economic equity will help sustain physical investments in the area in the long-term as residents have the spending power to support local businesses or build their own assets. The intent is for this partnership to serve as an example of what is possible in community revitalization and inspire other organizations and underserved communities.